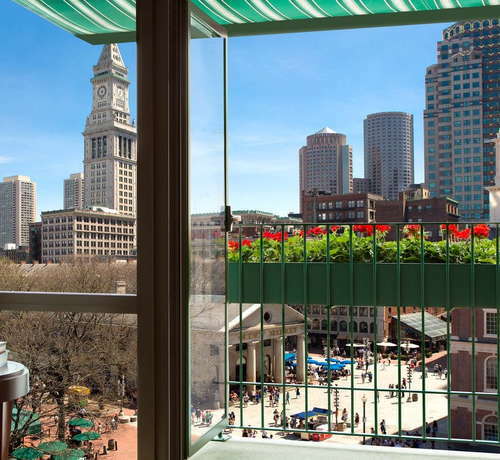 Located in historic Faneuil Hall, the Millennium Bostonian Hotel is a lovely, family-friendly option within walking distance of the New England Aquarium, Quincy Market, and the North End. Guests are a blend of business travelers heading downtown, and families who are there to hit the big sights. The hotel's restaurant, North 26, serves a little bit of everything. Faneuil Hall can be a mob scene during the high tourist seasons, so keep that in mind if you're not big into crowds and noise. 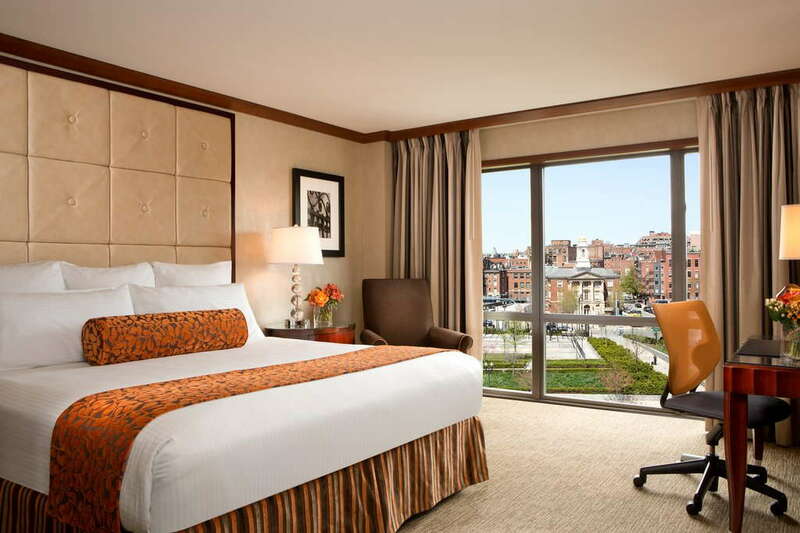 The Bostonian has guest rooms featuring Frette linens, pillow-top mattresses, and 40 inch plasma TV's. 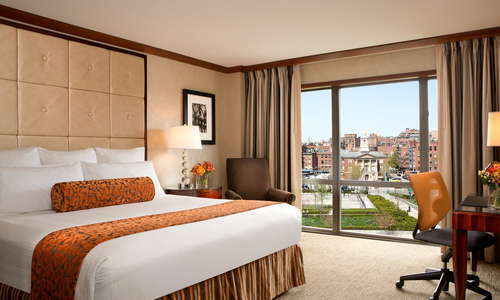 Standard and Superior Rooms look out on the city, while Deluxe rooms and suites have private step-out balconies showcasing city views and the popular North End. 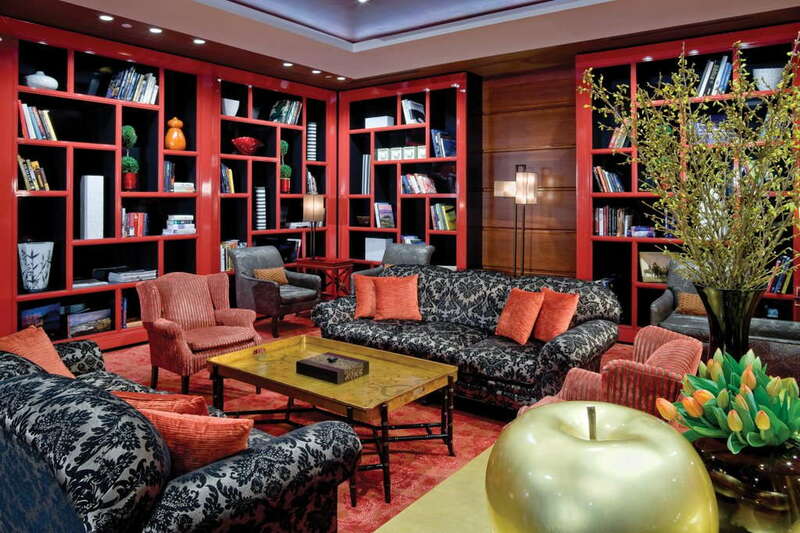 Some rooms have fireplaces. YOU SHOULD KNOW Fridays and Saturdays are particularly rowdy in the area, thanks to the fruit and veggie sales going on in Haymarket, who arrive extremely early to set up shop. Bathrooms have walk-in showers, Kohler sinks, and all the necessary bath amenities. 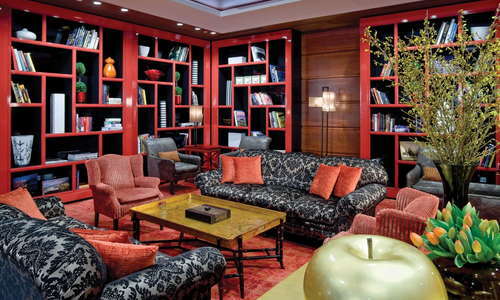 A blend of wood paneling and red walls, the lobby provides sofas and arm chairs, perfect for relaxing with a book chosen from one of the floor-to-ceiling bookshelves. There's also a cozy fireplace. The fitness centre has cardio machines, strength training machines, and medicine balls so you can sneak in a workout. North 26 is the hotel's restaurant, a family-friendly spot that serves three meals a day. There's also a patio on the side for dining al fresco. The bar at North 26 is a lounge where guests can order up cocktails or bar bites. The closest T stop to the hotel is Haymarket, which carries the Green and Orange Lines. 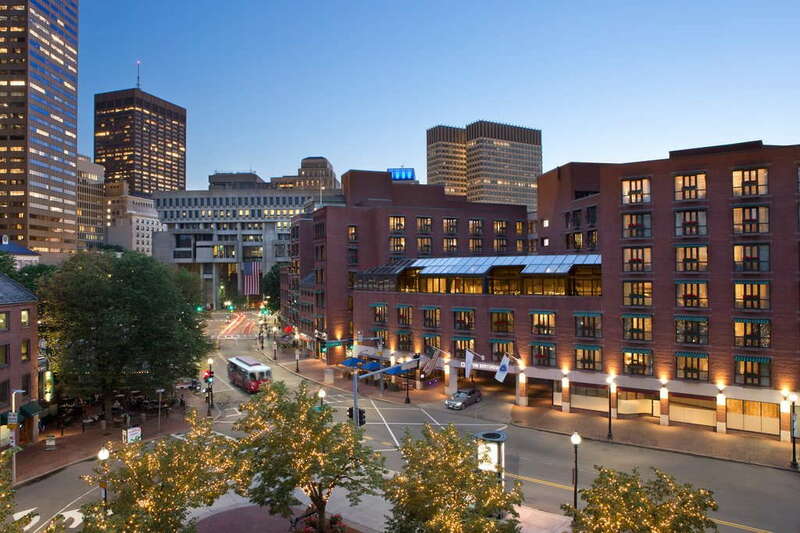 Government Center, which has the Blue Line, is also just a 6-minute walk away. Most guests do a significant amount of walking, since they're located within one of the city's biggest tourists districts. The Faneuil Hall area is filled with restaurants, many of whom are eager to overcharge for sub-par food. For fast bites, head to the Boston Public Market (4-minute walk), an indoor spot with stalls from many area farmers and restaurants. For the lobster roll of your dreams, wander over into the North End and grab a spot at Neptune Oyster Co. (5-minute walk). But keep in mind, you may have to wait in line, because they don't take reservations. If you're looking to stay as close as possible to Faneuil Hall, the Millennium Bostonian is in the middle of everything. $$ &middot; 284 Commonwealth Ave.
$$ &middot; 370 Congress St.
$$ &middot; 75 Memorial Dr.